The Undie 500 continues throughout the month of April. We challenge all our guests to collect as many new and unopened packages of underwear and socks as possible. These donations will benefit Clothes to Kids of Denver, an organization that provides new and quality-used clothing to students ages 3 to 21 from low-income or in-crisis families. PLUS- we're offering discounts on your purchase, service or sales, if you bring a donation! The more donations you bring, the bigger the discount! Come see us today. You'd be a fool not to take advantage of our April incentives early this month. Hop on over to BMW of Denver Downtown to explore our exclusive line up of new, used and Certified Pre-Owned BMWs - let the hunt begin! 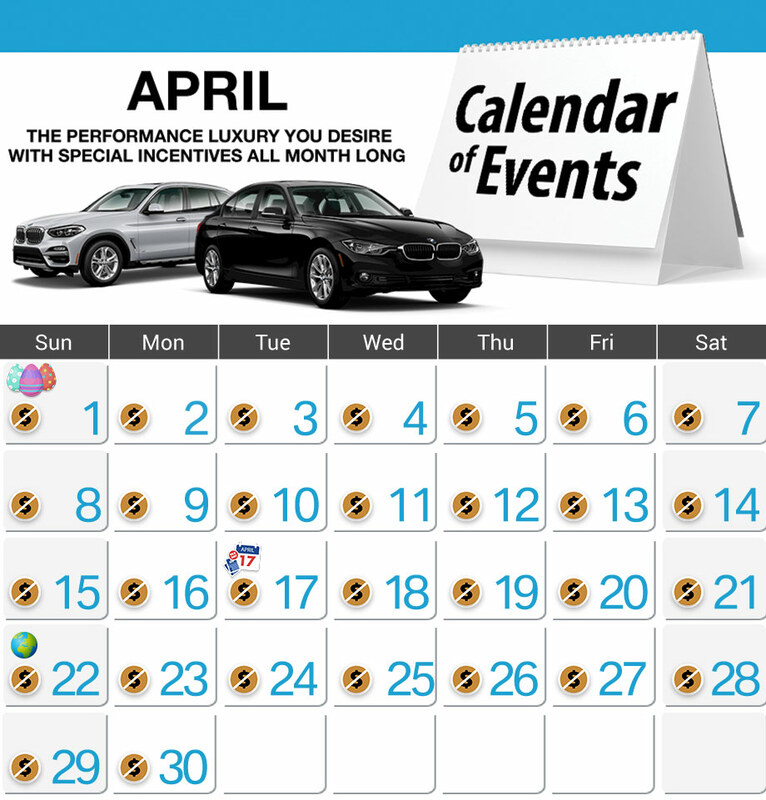 April 17th is the last day to pay your taxes - so file away, then bring your return over to BMW of Denver Downtown. You'll be driving a way with your new luxury performance vehicle for less than you would have imagined. Whether you drive luxury or not, we're here for you. We service all makes and models here at BMW of Denver Downtown. Get the luxury treatment when you schedule your appointment today. "I traveled from the Salt Lake City area to BMW of Denver Downtown for price and online dealer rating. My experience was exceptional and even better than anticipated."